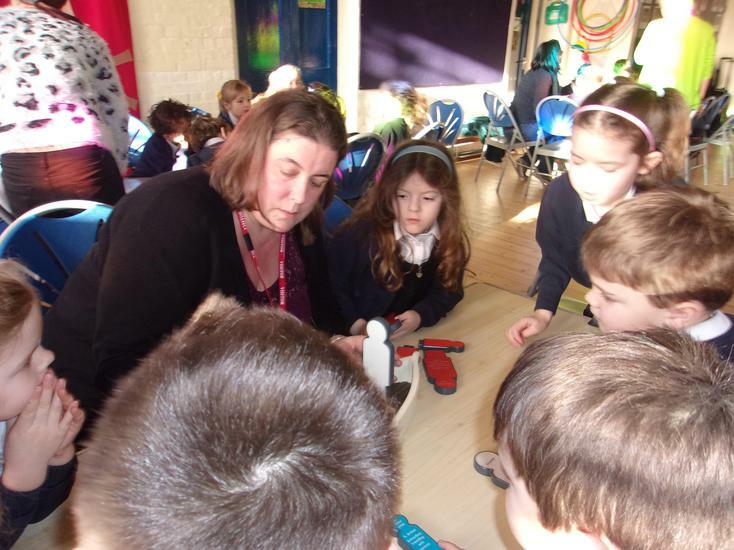 Owls class were very excited when a suitcase arrived containing a selection of artefacts and a request letter from the SeaCity Museum. 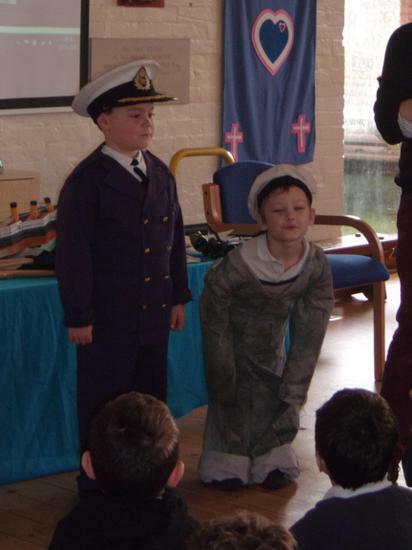 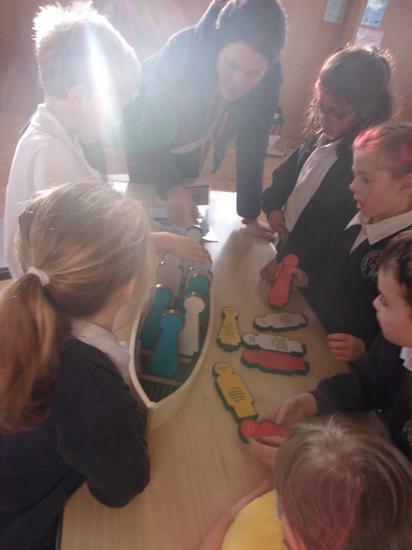 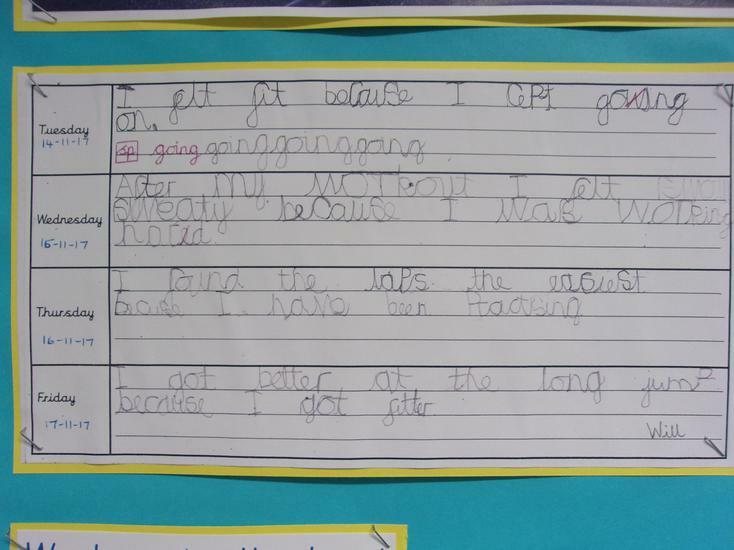 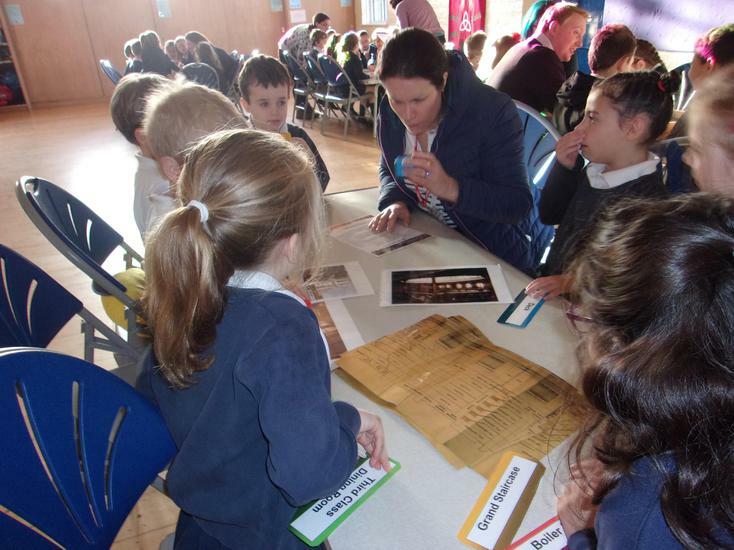 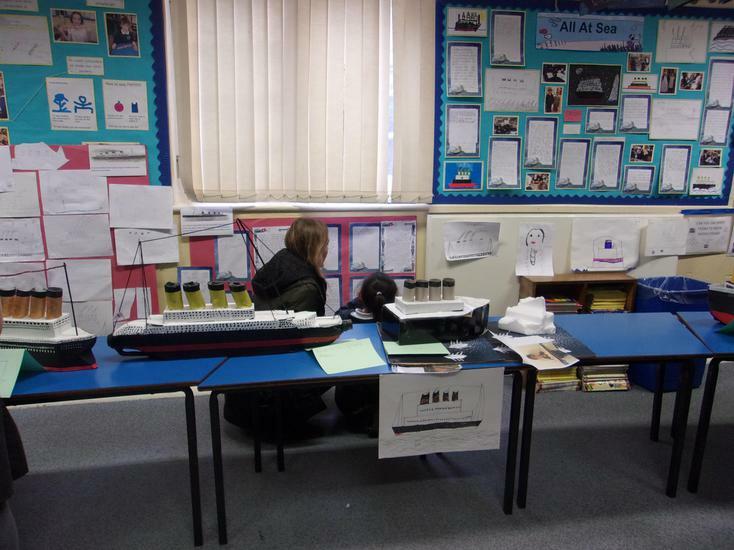 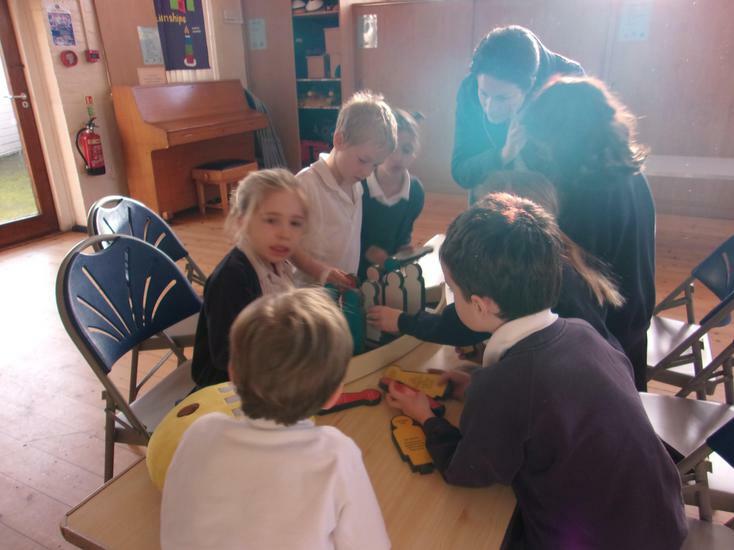 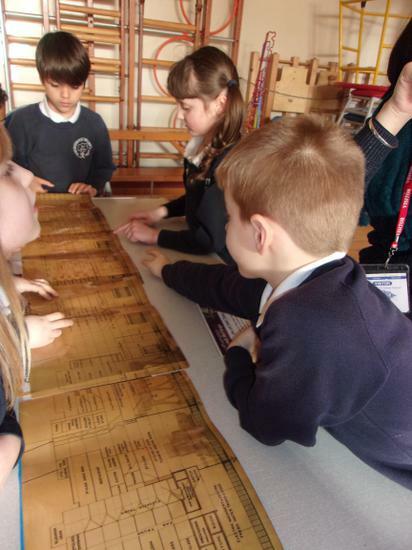 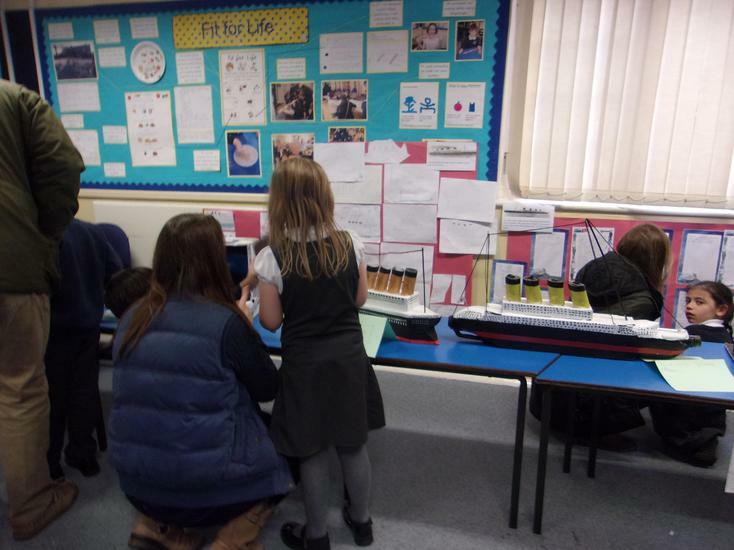 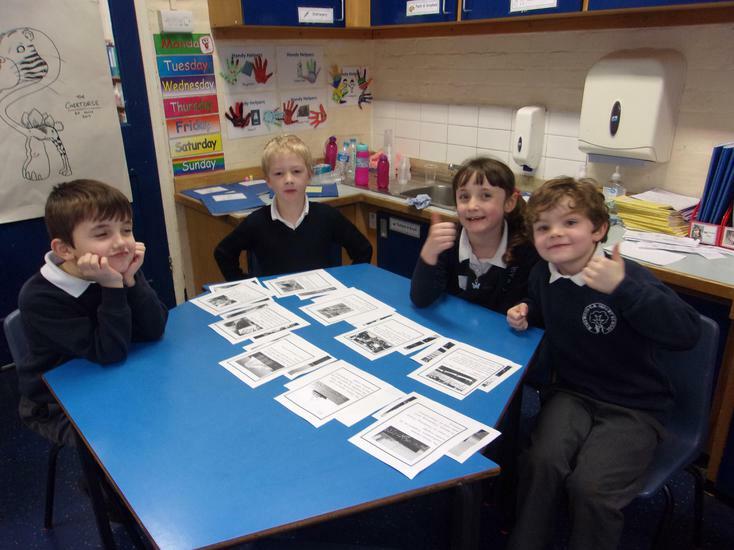 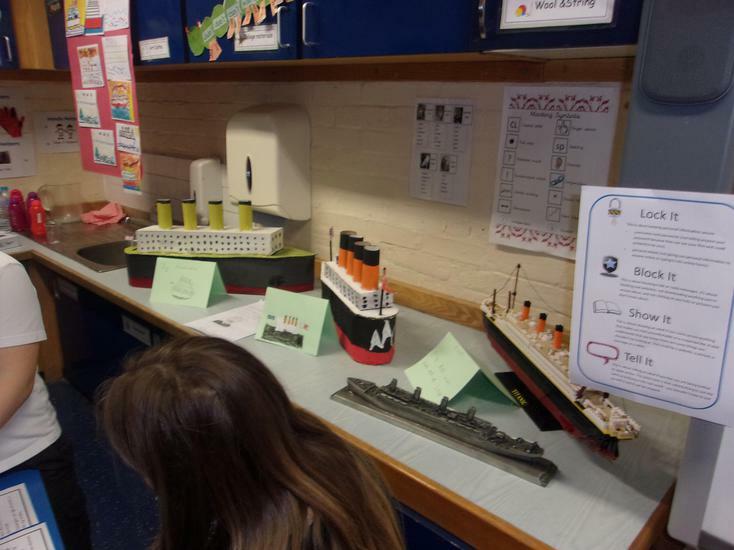 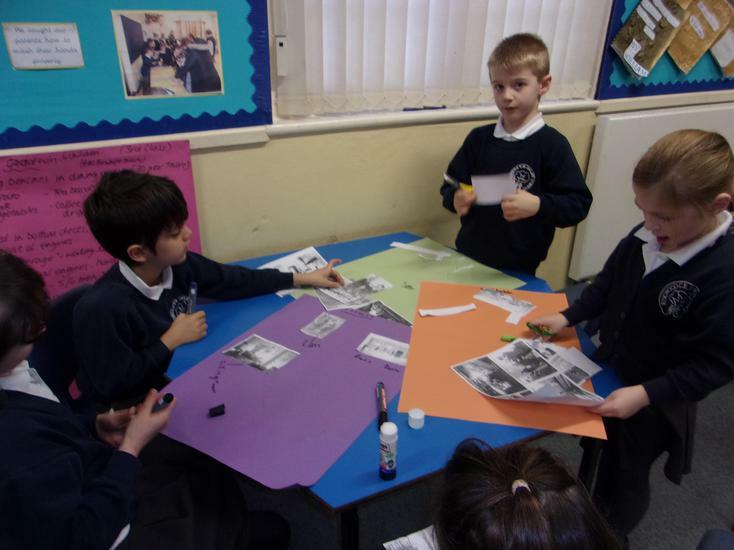 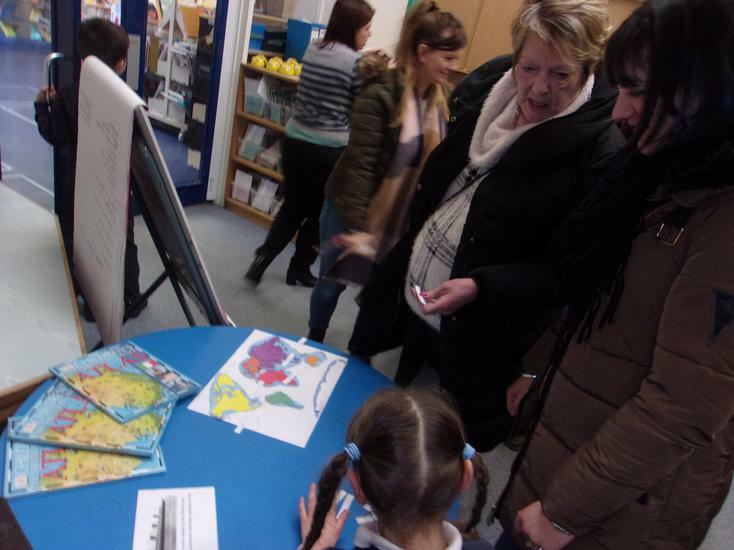 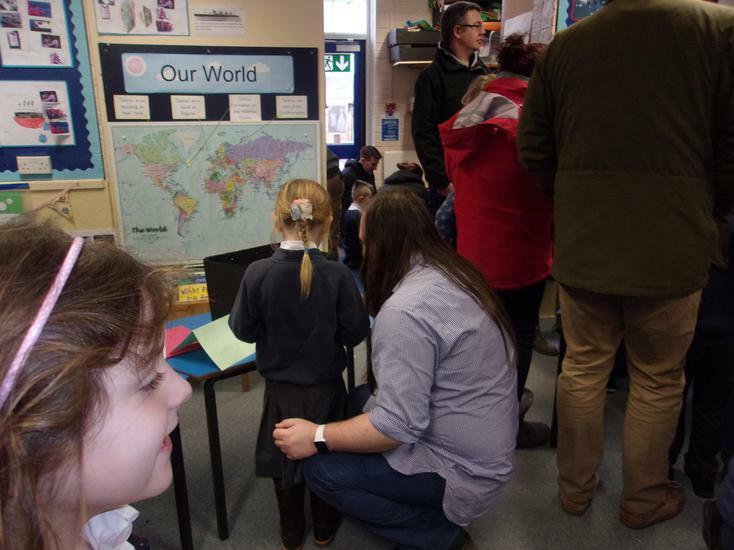 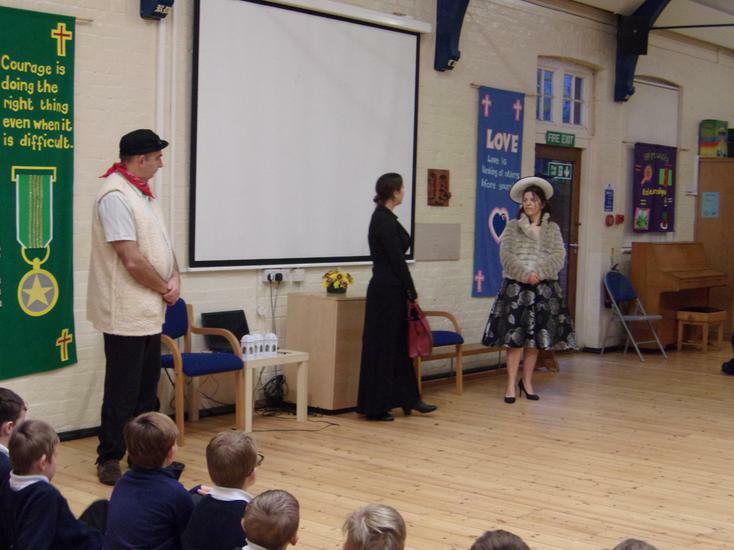 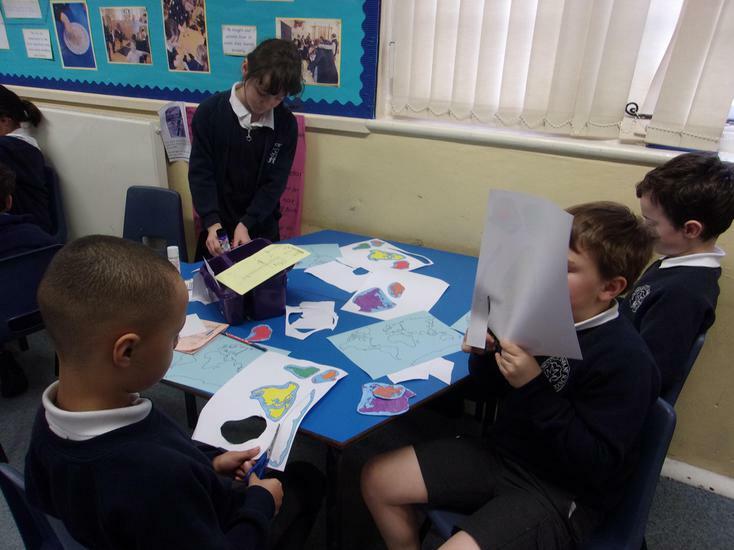 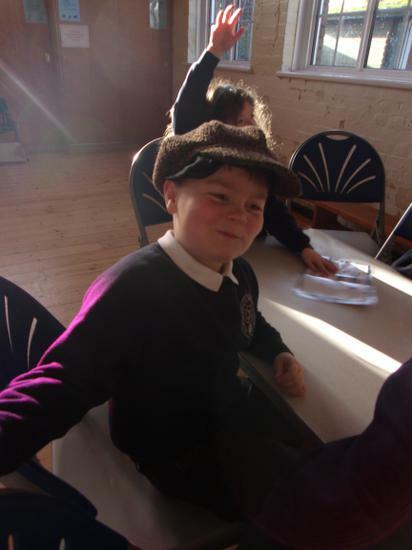 We were to set up a museum in school to inform others all about the Titanic. 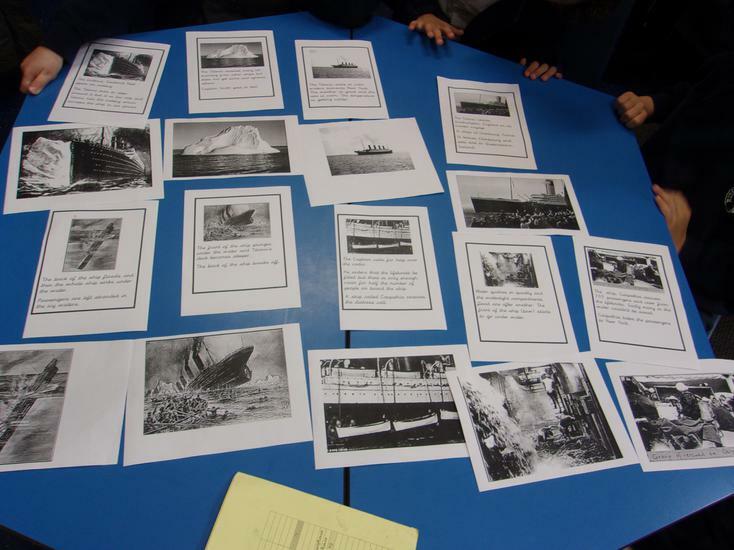 We researched information and wrote facts about how the Titanic was built, a diary entry and a recount of a passengers survival. 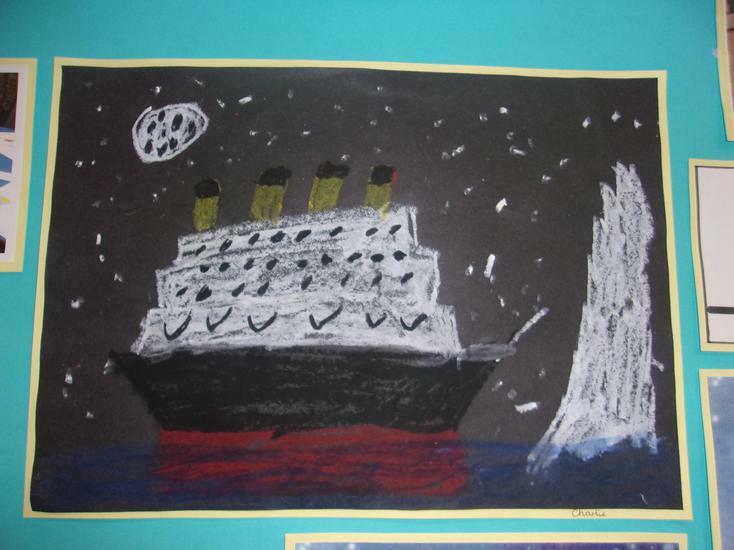 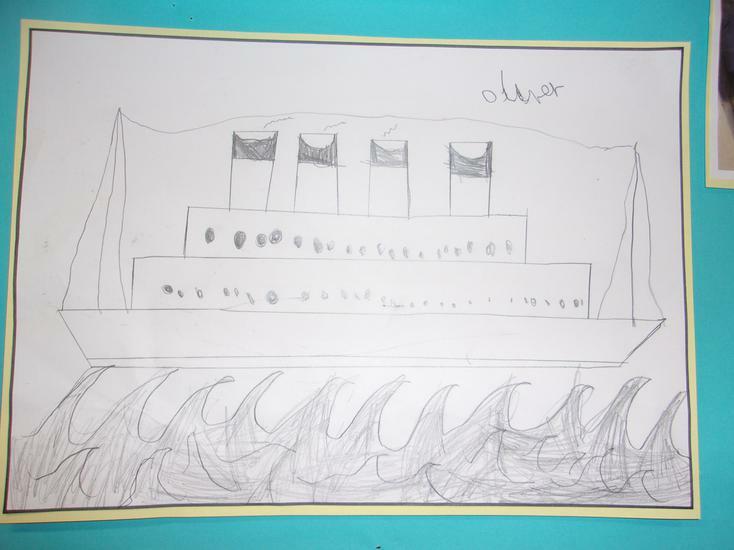 During art we drew the Titanic using a range of media and even using a drawing program on the laptops. 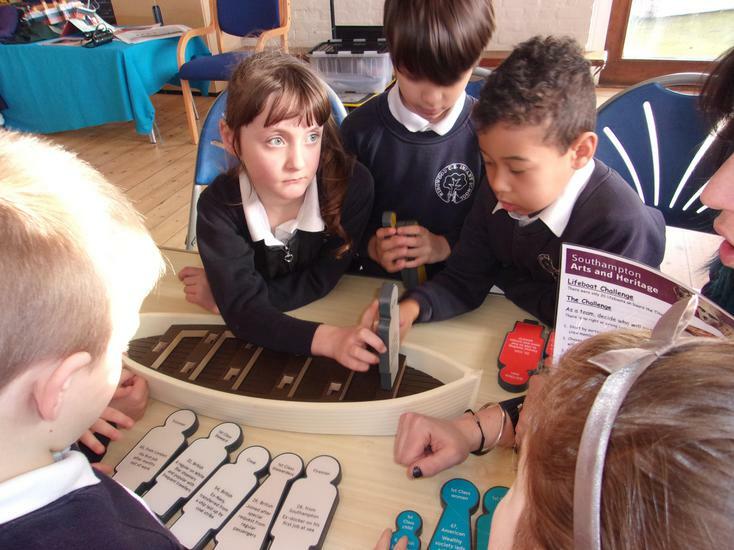 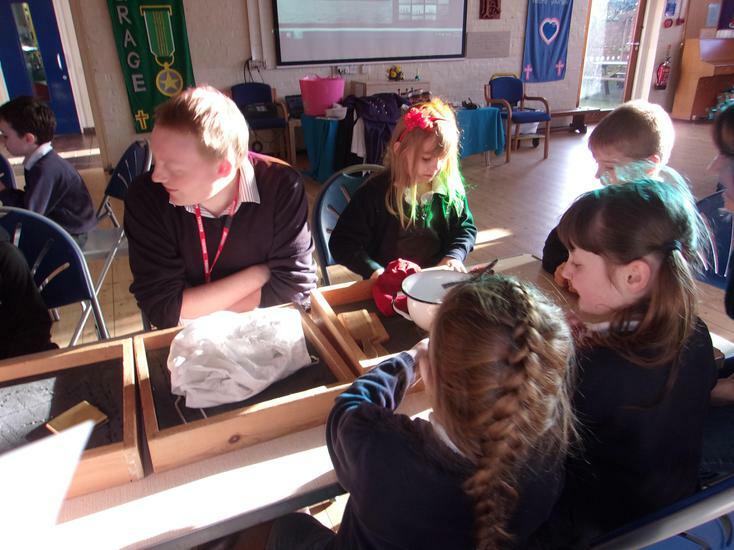 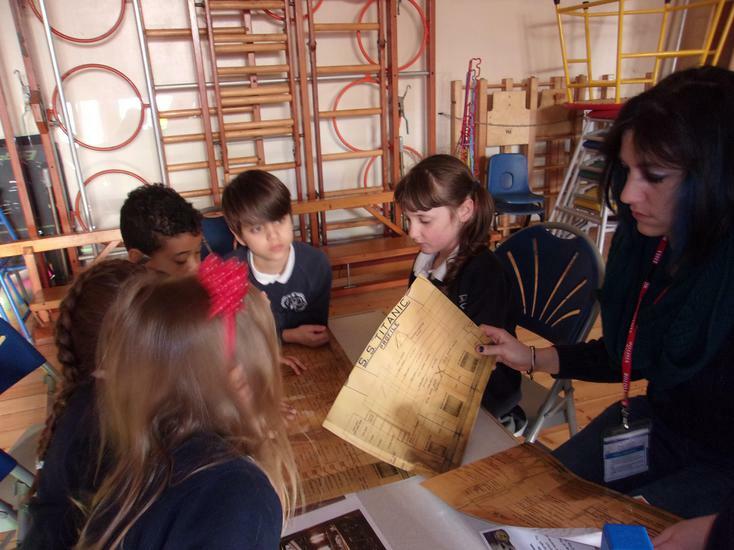 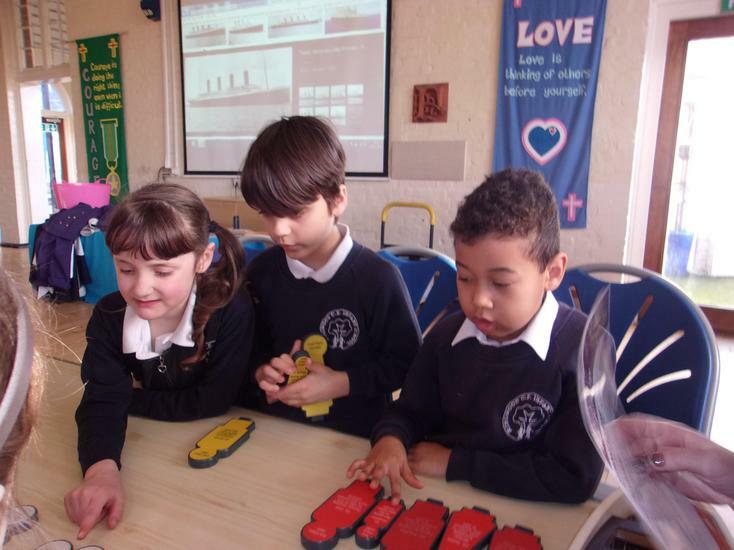 During the IC we were very lucky to have a visit from the SeaCity museum where we experienced hands on activities and learnt even more about the disaster, deciding who we would take with us on a lifeboat, what different artefacts were, seeing if we could recognise smells from the ship and sorting items from first, second and third class passengers. 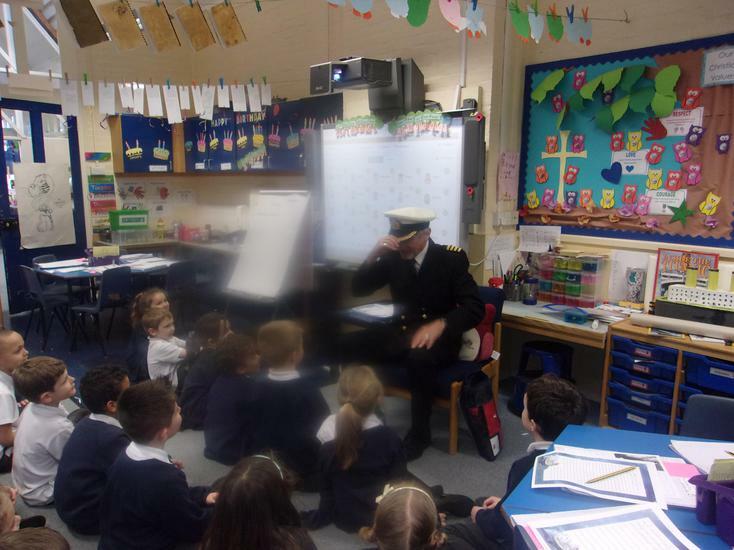 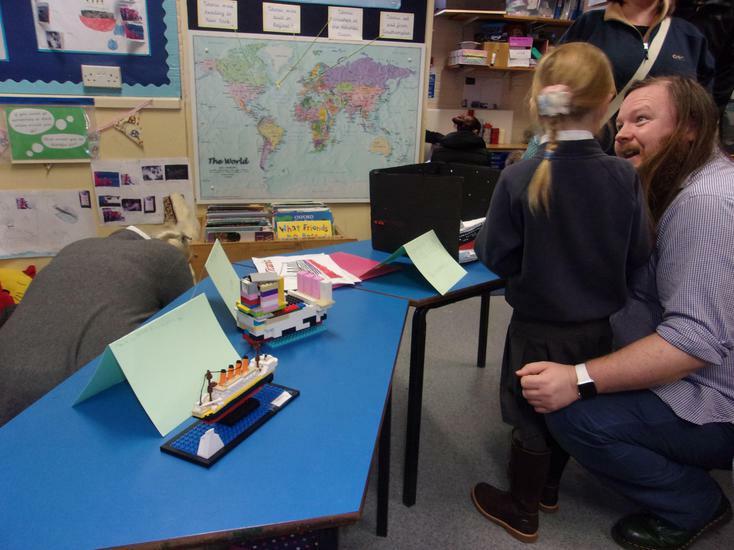 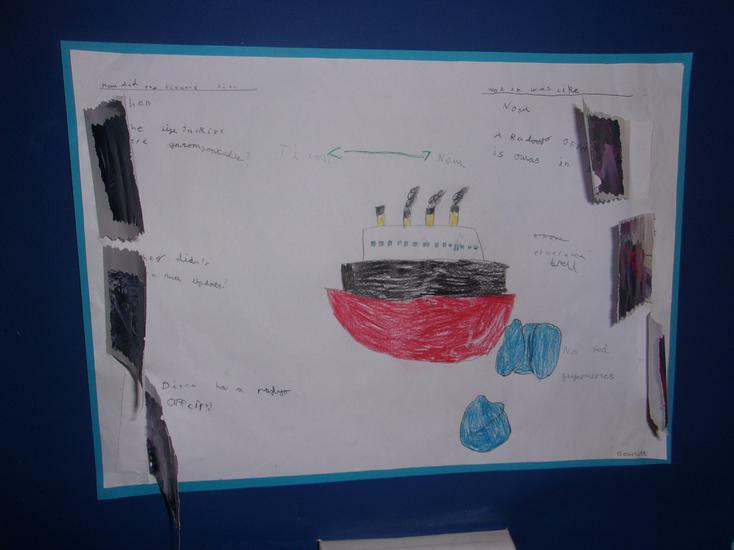 After a visit from Captain Dixon the children made posters to show how ship safety has improved as a result of the Titanic disaster. 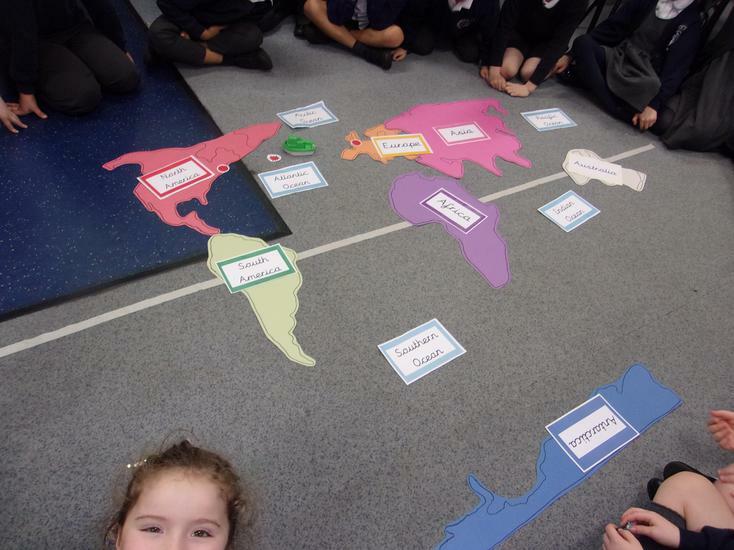 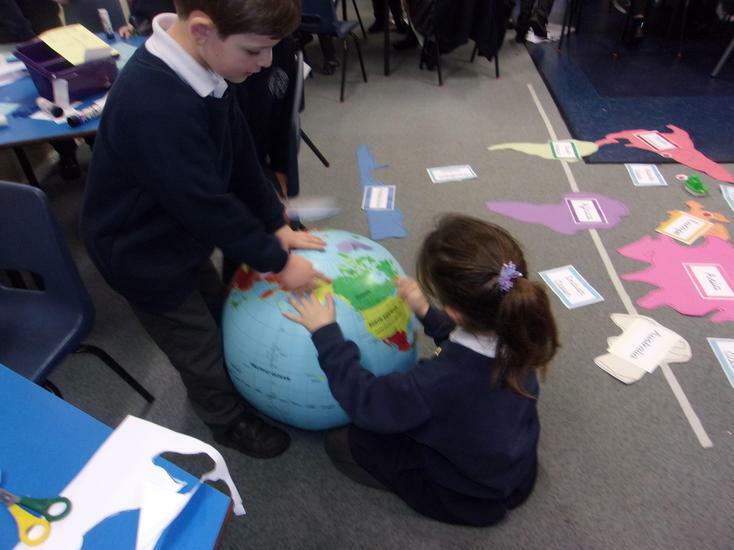 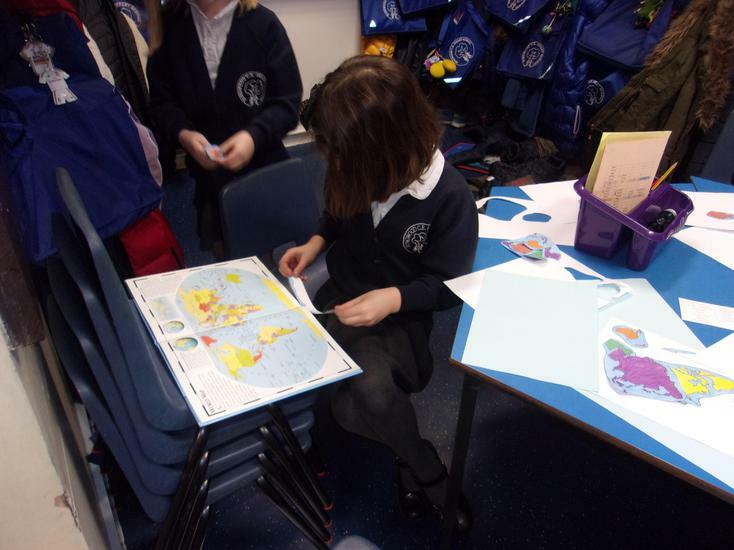 In Geography we traced the route taken by the Titanic and identified the Oceans and Continents and their position in the world. 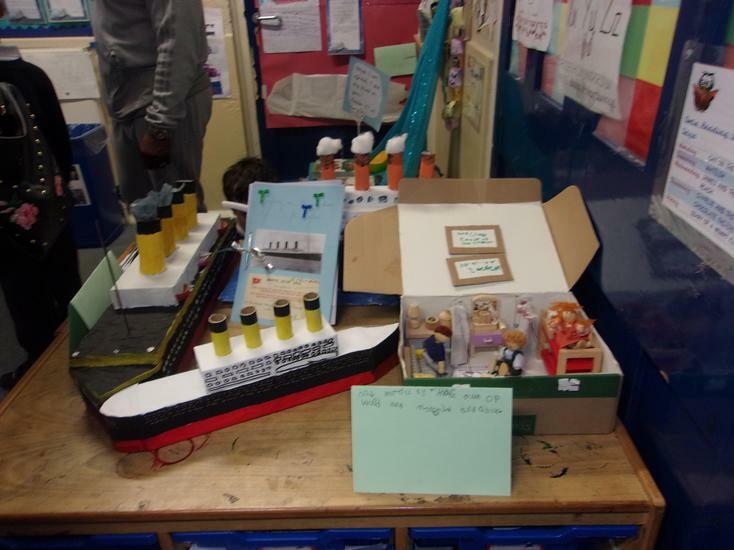 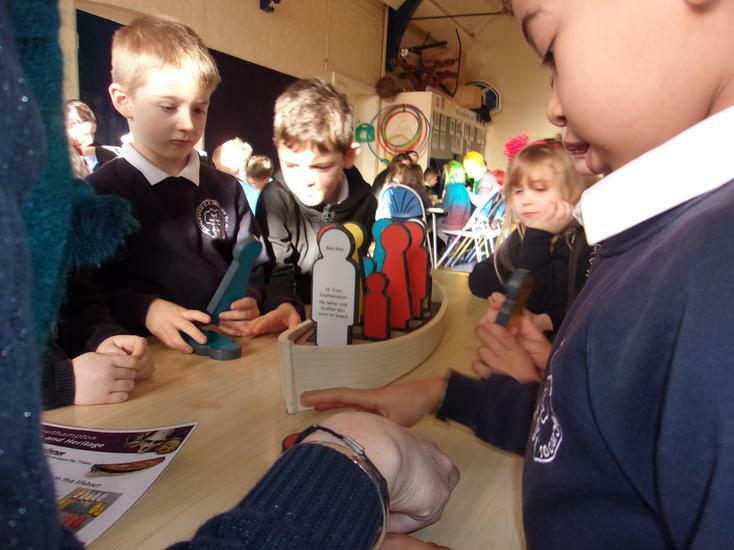 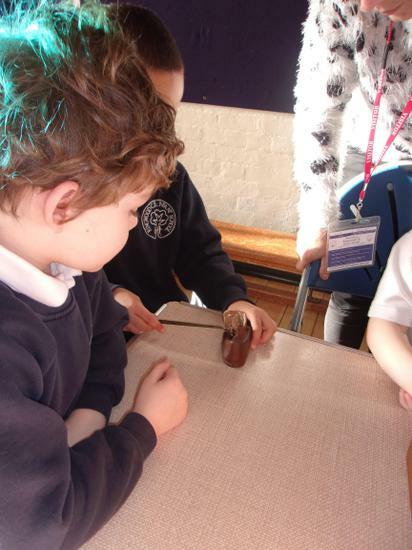 For home learning the children found out about a passenger from the Titanic or made a model to show in our museum. 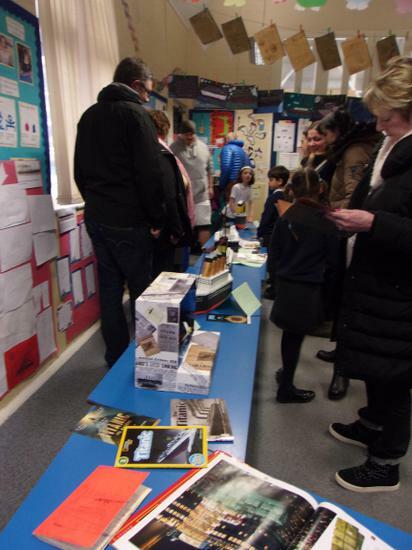 Finally we put everything together to create our museum and invited the parents in to join us. 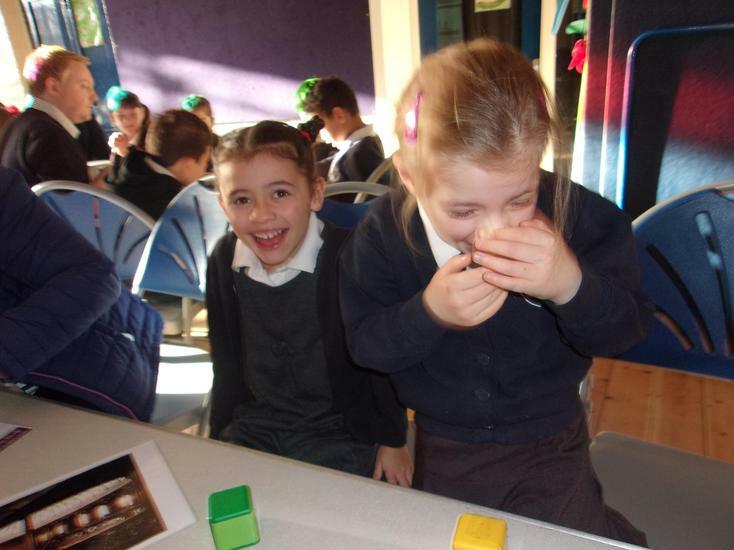 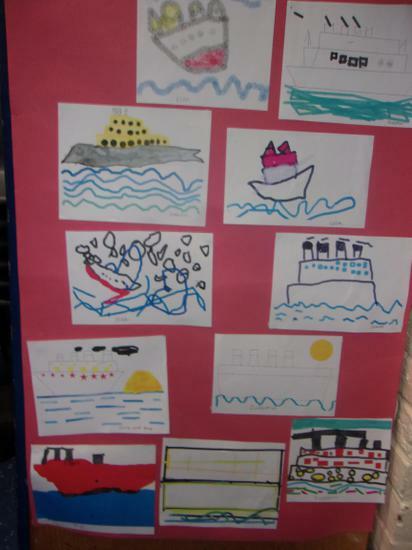 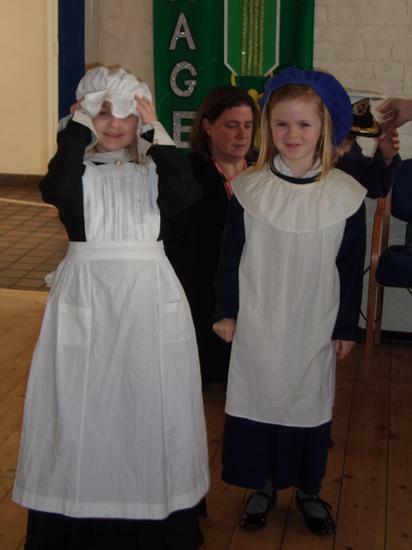 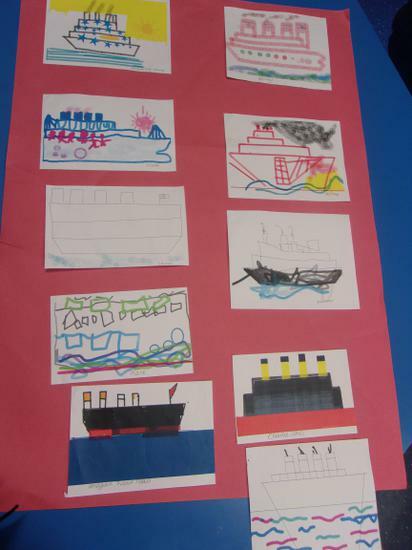 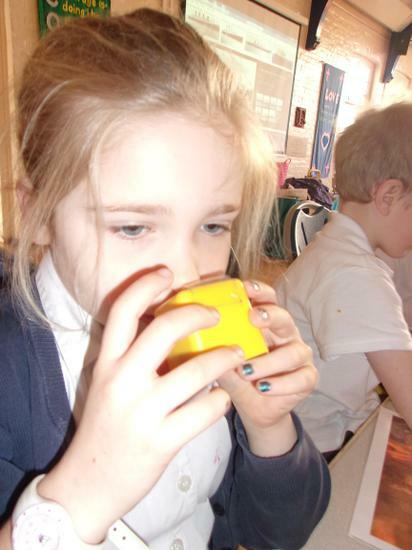 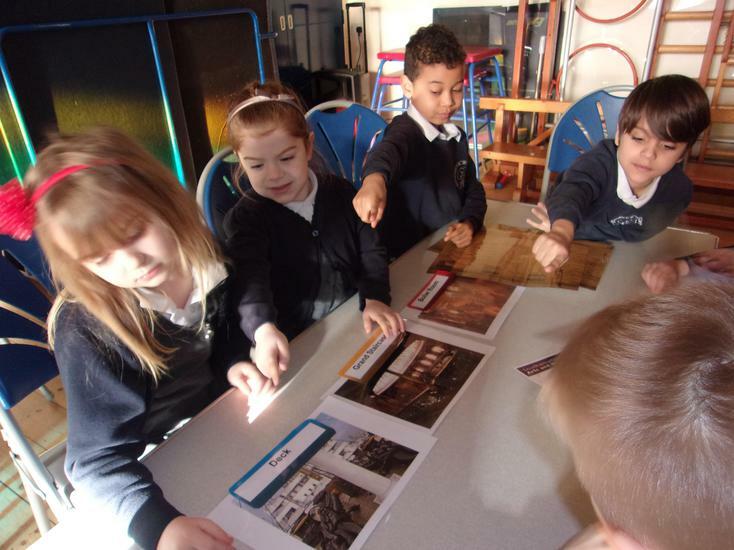 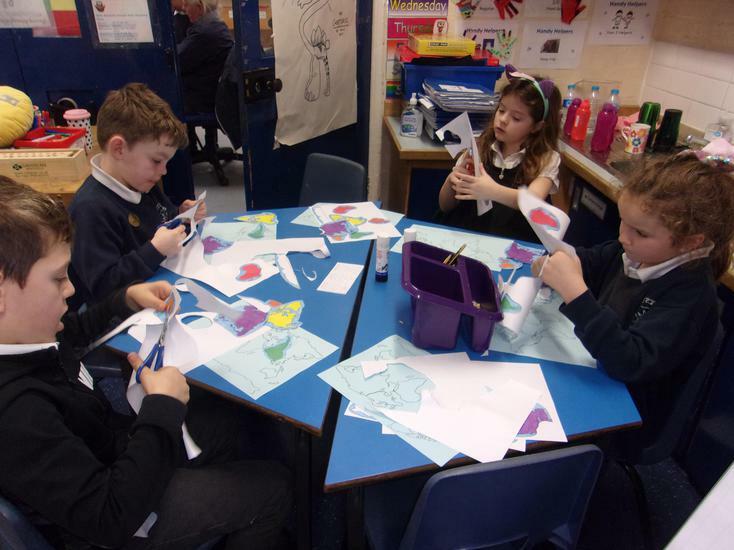 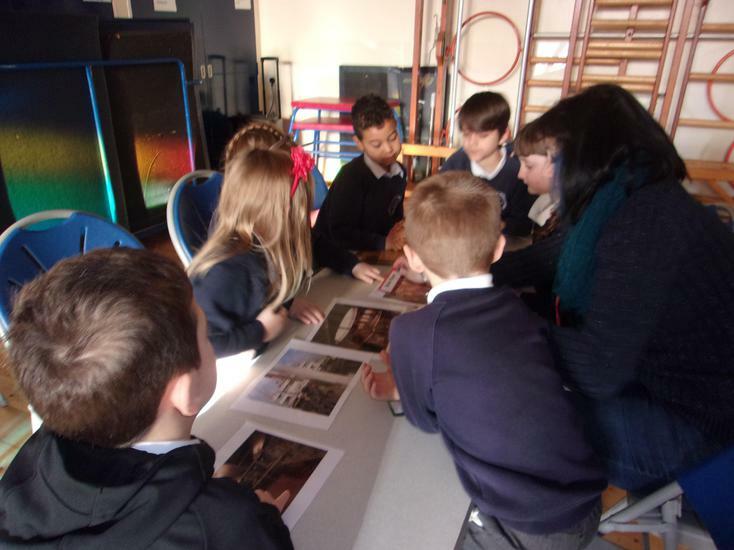 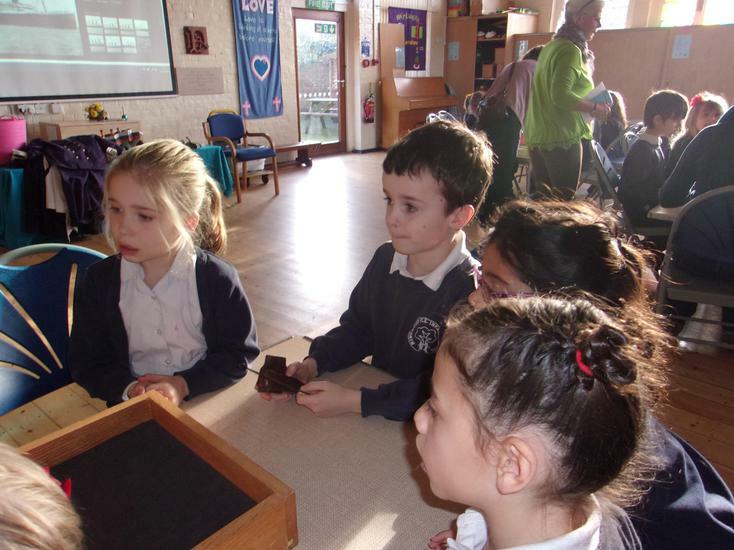 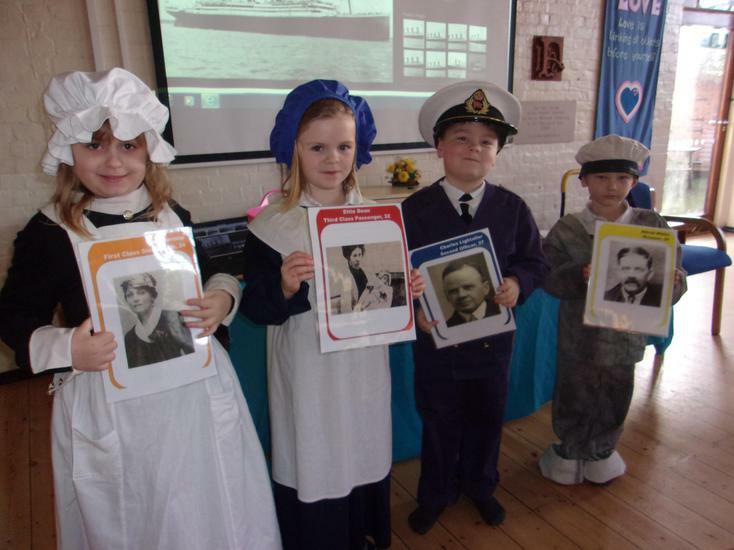 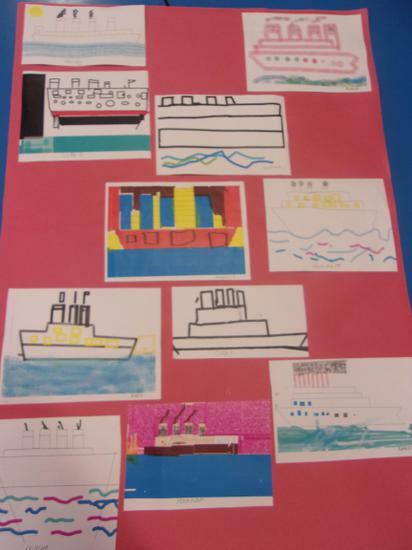 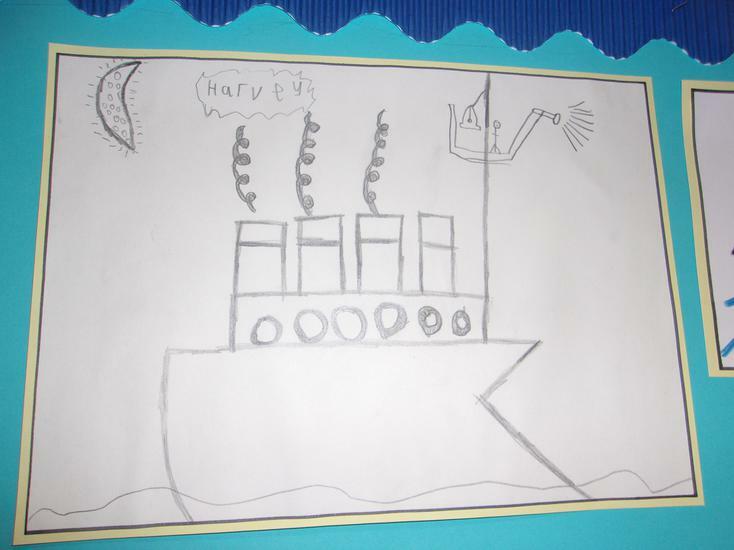 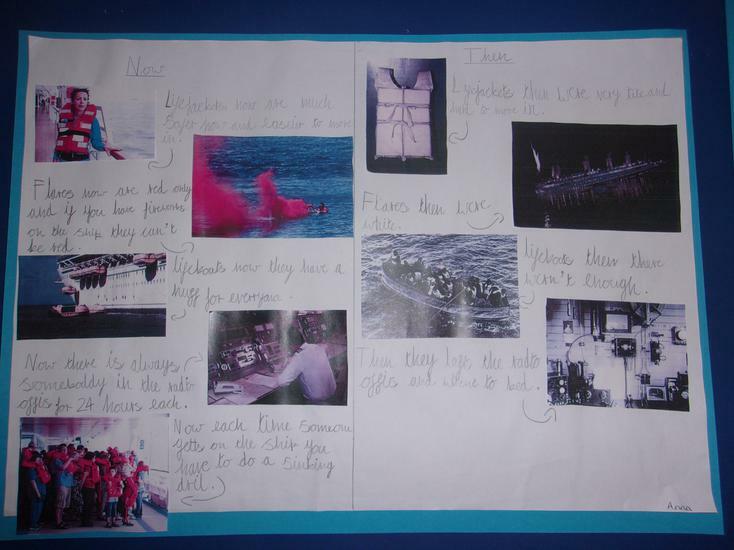 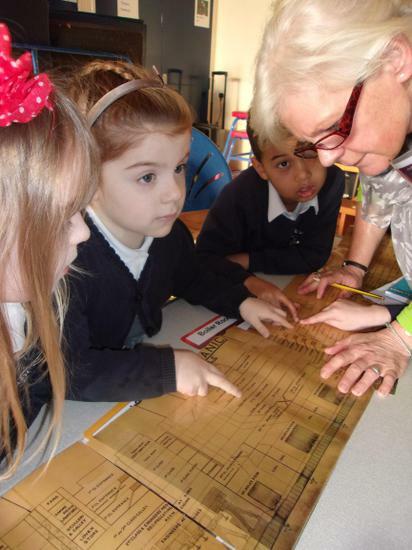 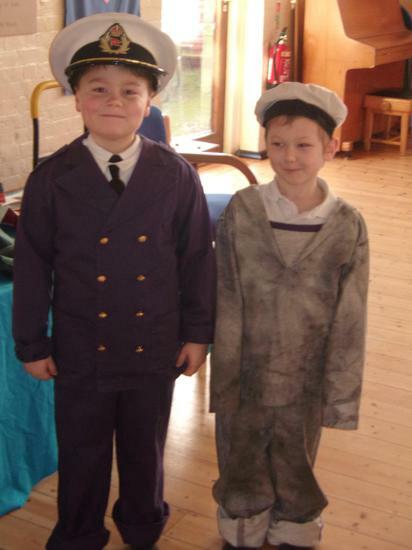 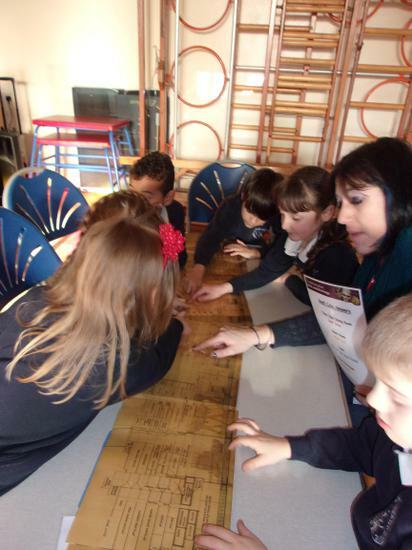 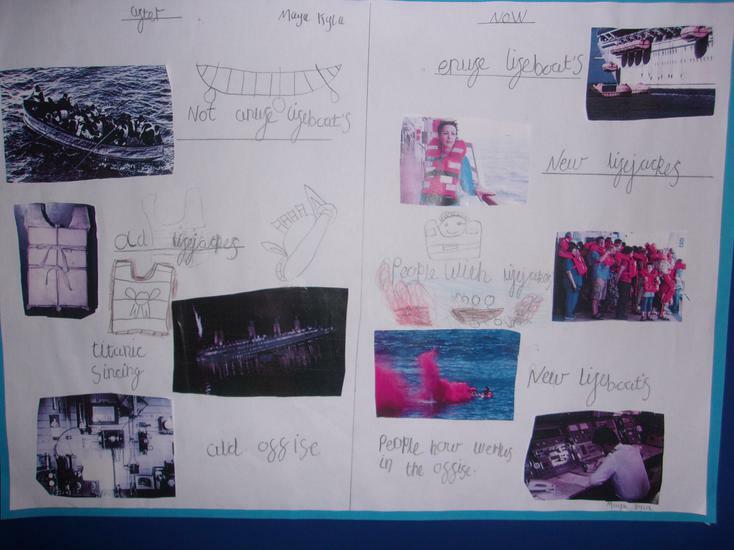 Please take a look at the photos to see what a great time we have had learning about the Titanic. 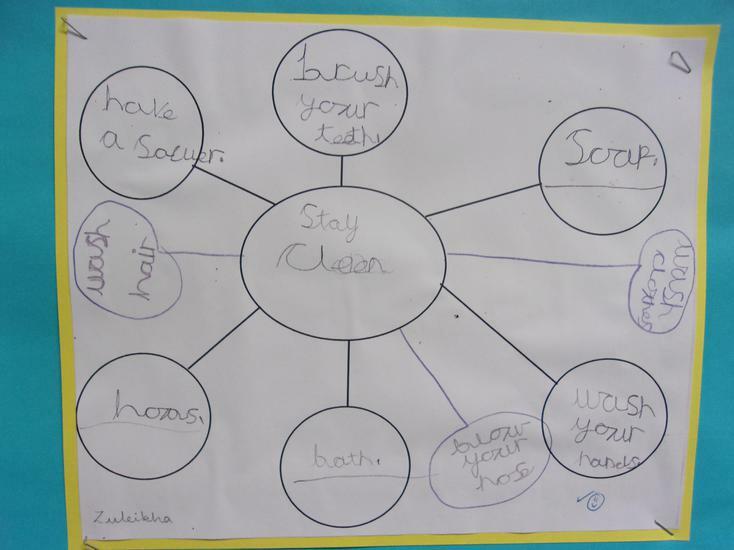 In our IC 'Fit for Life' we have been looking at how to stay healthy and well. 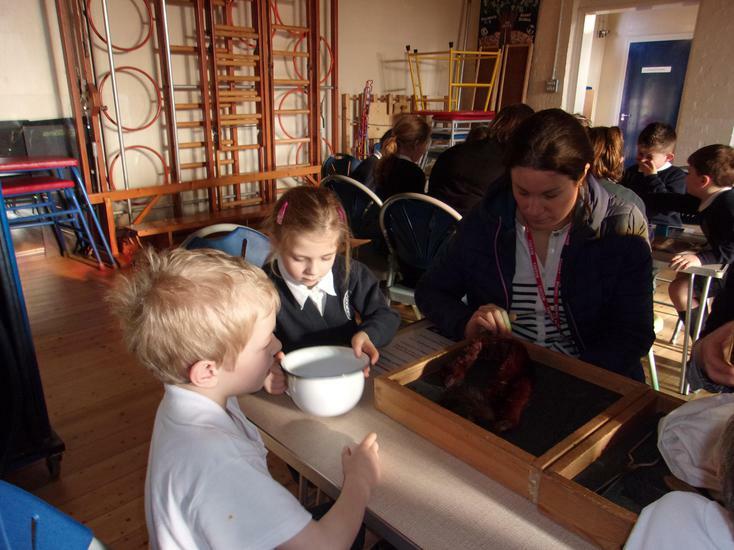 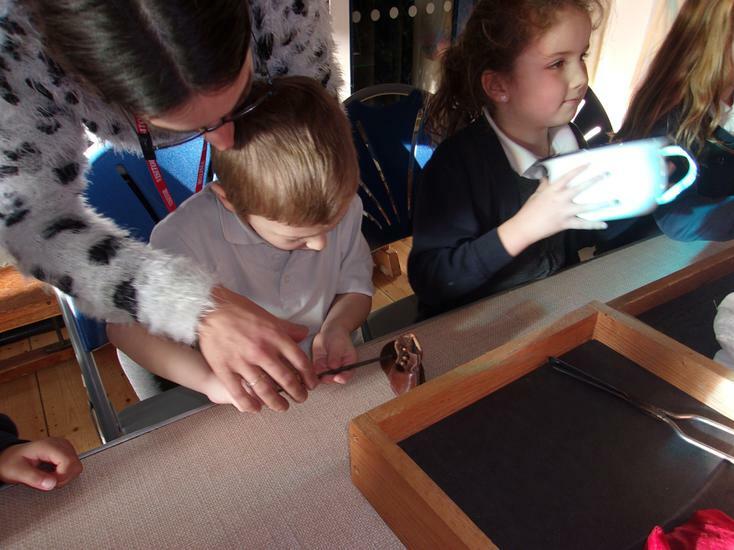 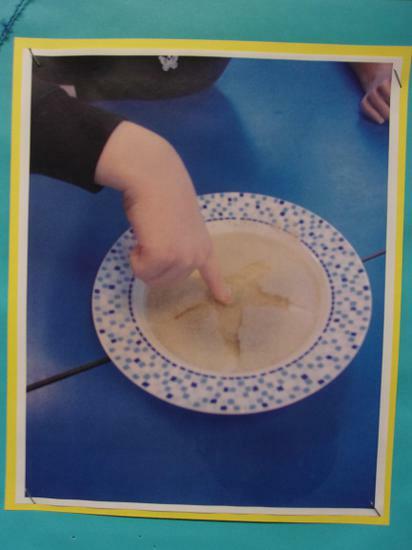 In Science we learnt about the different food groups and what they do for our bodies, we experimented to see the effect of soap on germs, we learnt how to wash our hands correctly and experienced the effects of exercise on our bodies. 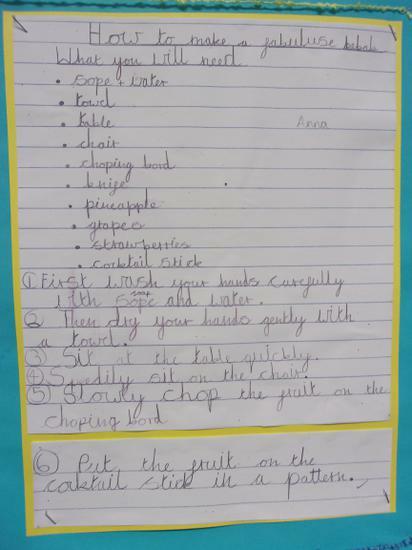 In English we wrote a range of instructions to explain how to make a healthy snack and how to wash our hands. 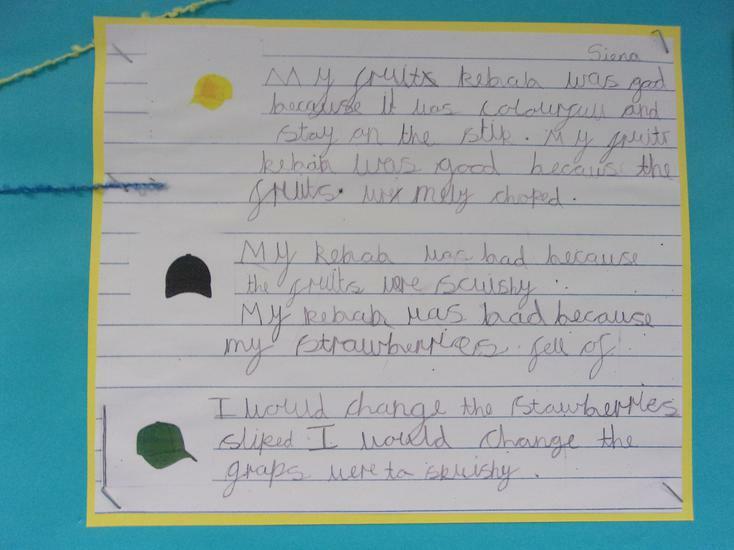 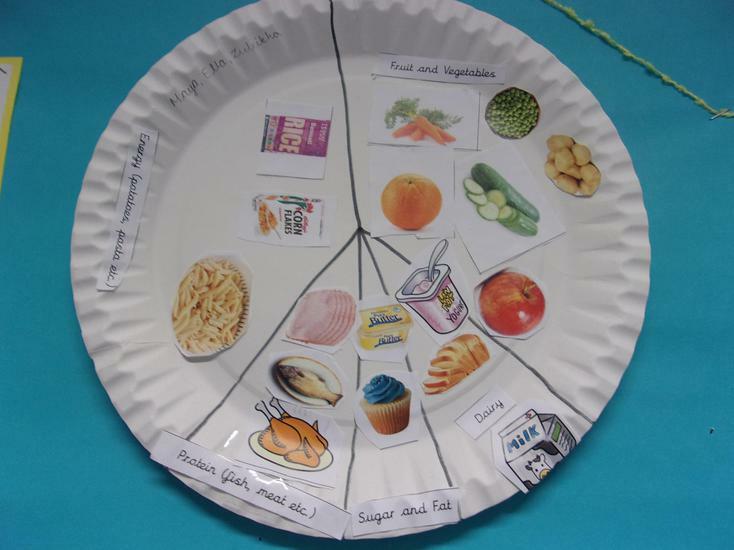 We also wrote up what we had found out about the different food groups. 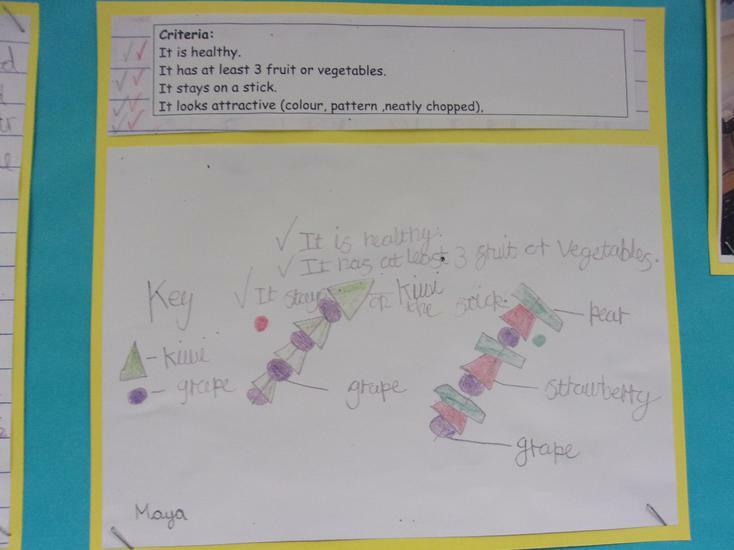 In Design Technology we explored different healthy kebabs before we designed and made our own, evaluating it against a set design criteria. 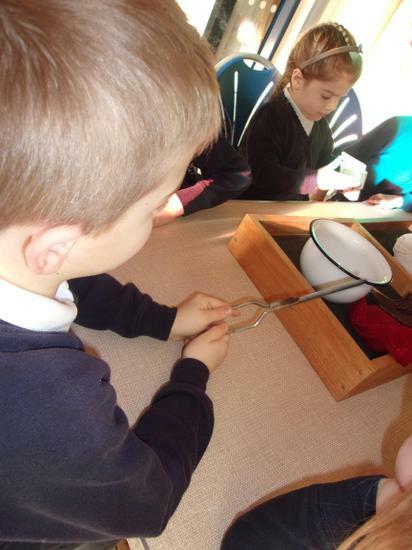 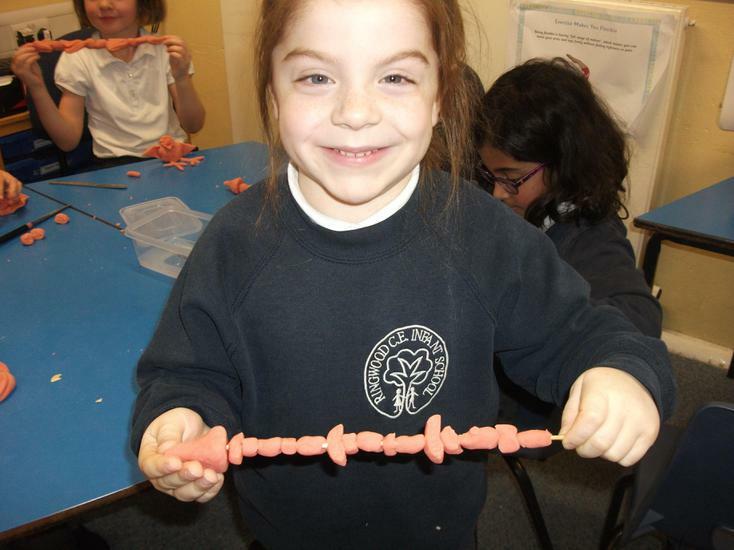 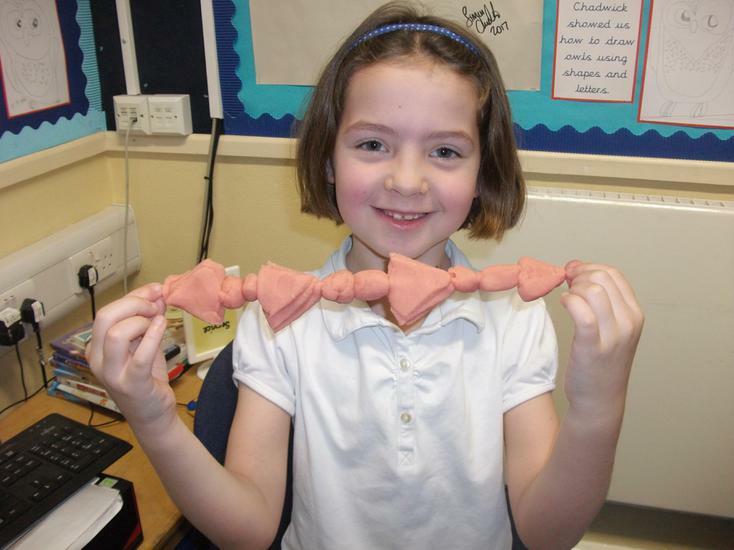 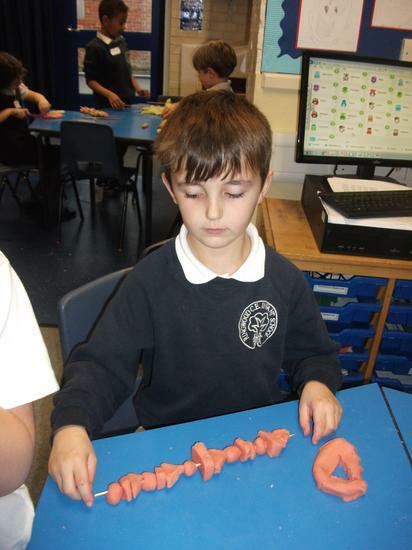 We also practised the skill of accurate cutting using play dough. 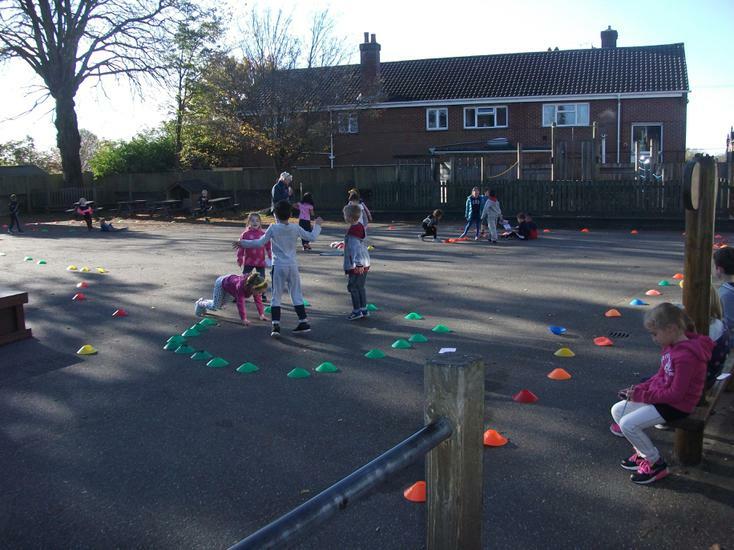 During Fitness week we tried different exercises each day to see if we could improve over the course of the week. 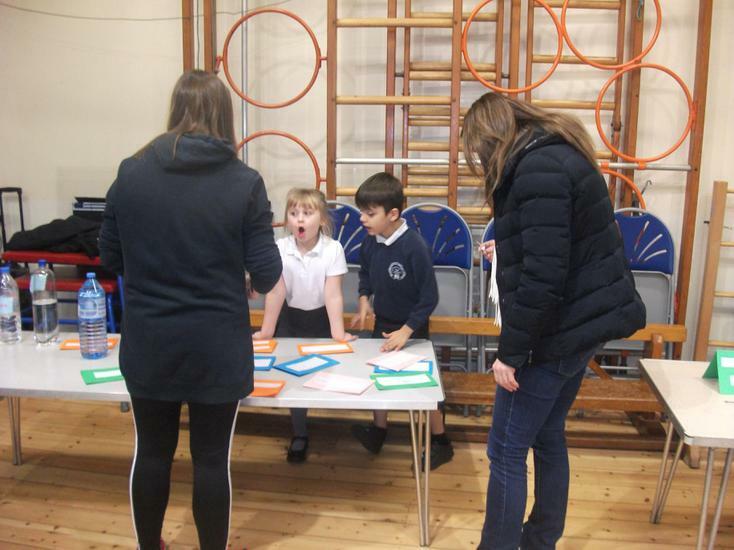 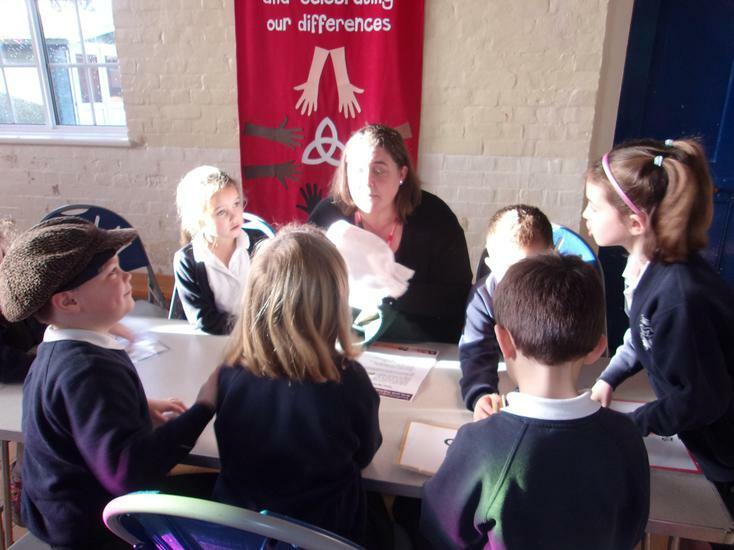 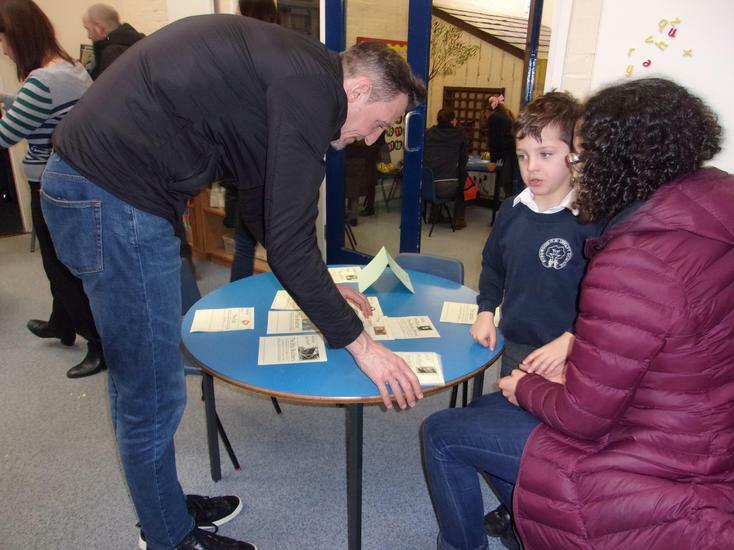 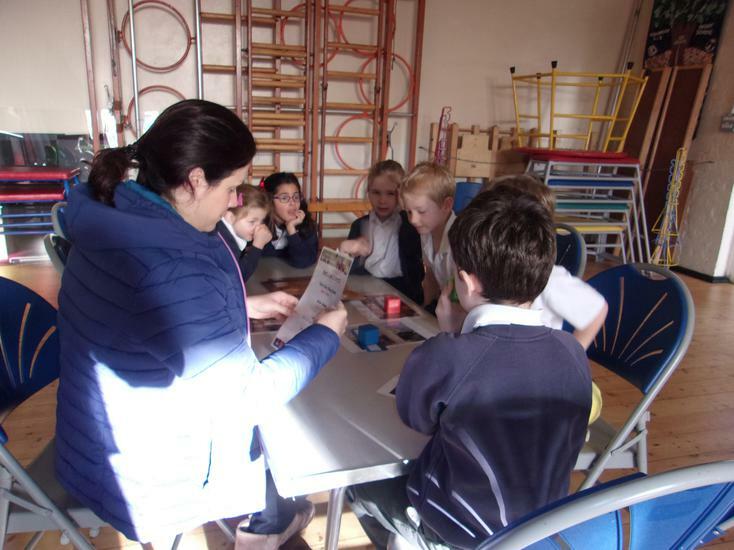 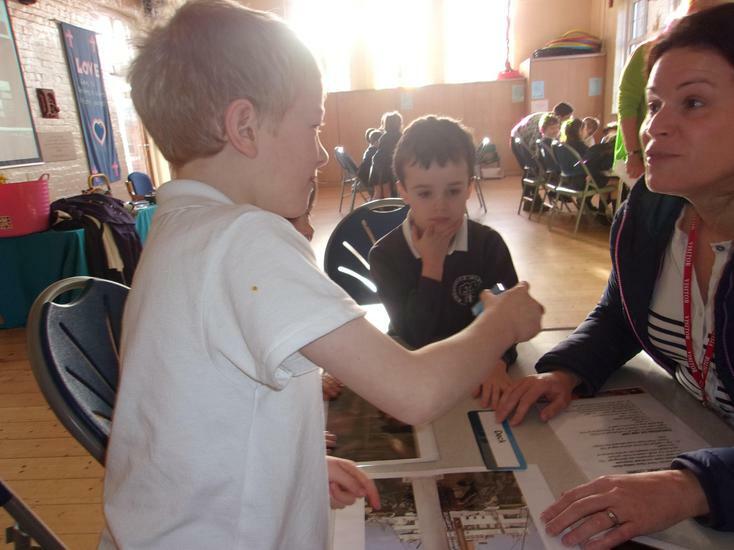 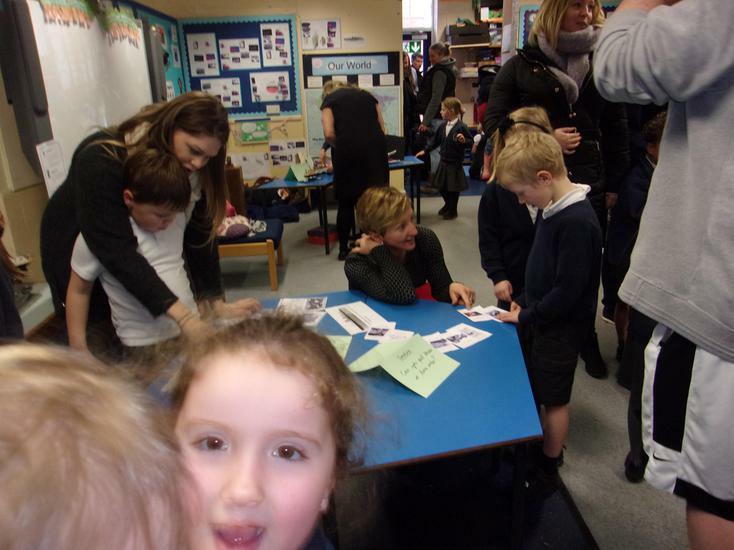 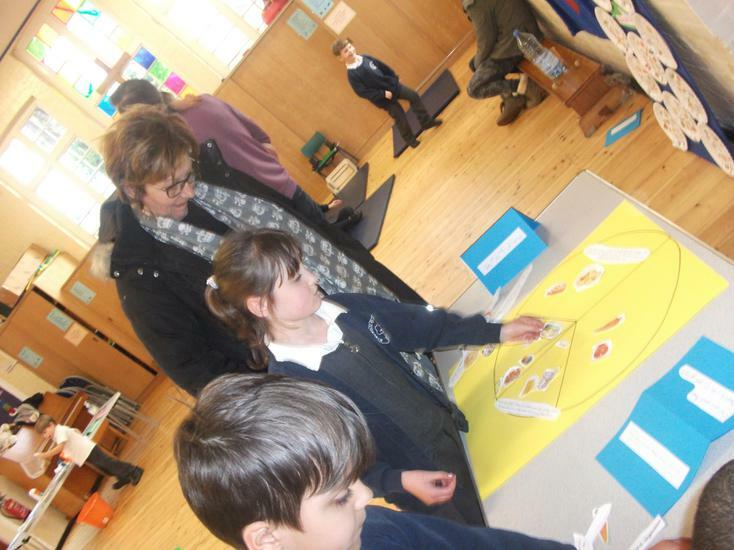 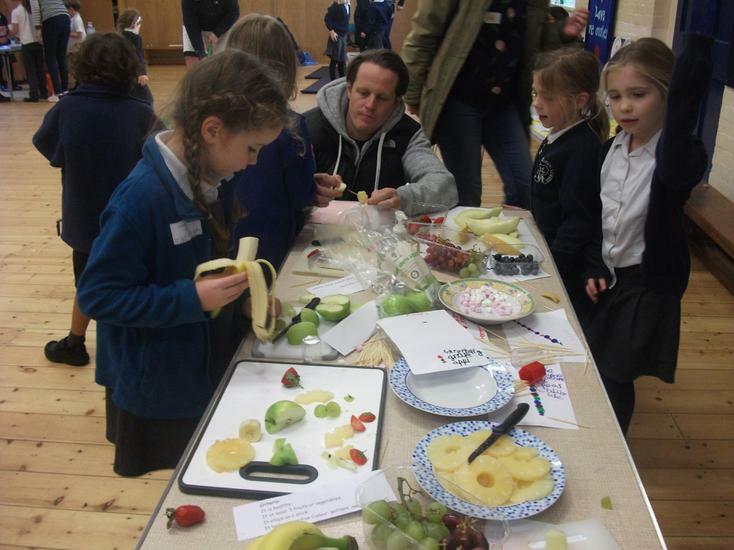 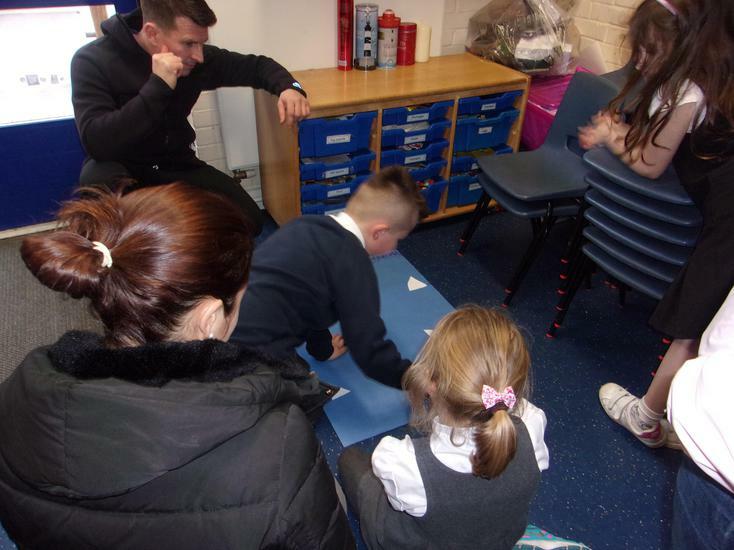 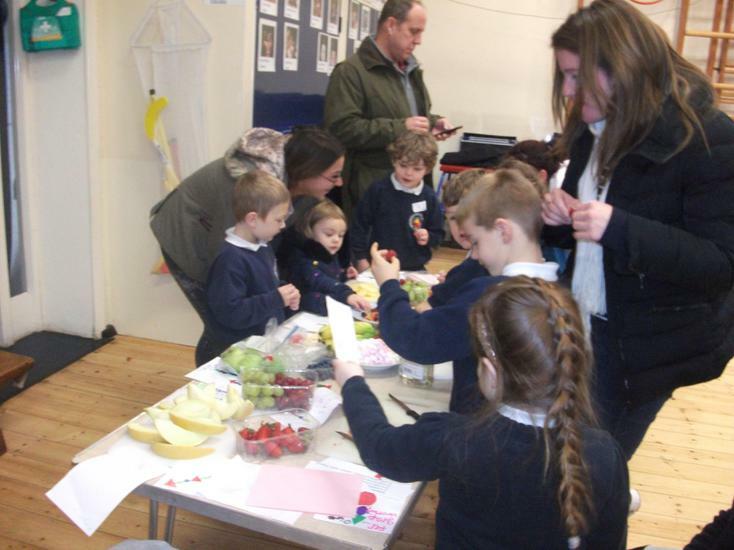 At the end of our IC the children set up a healthy living workshop to share all our learning with their grown ups. 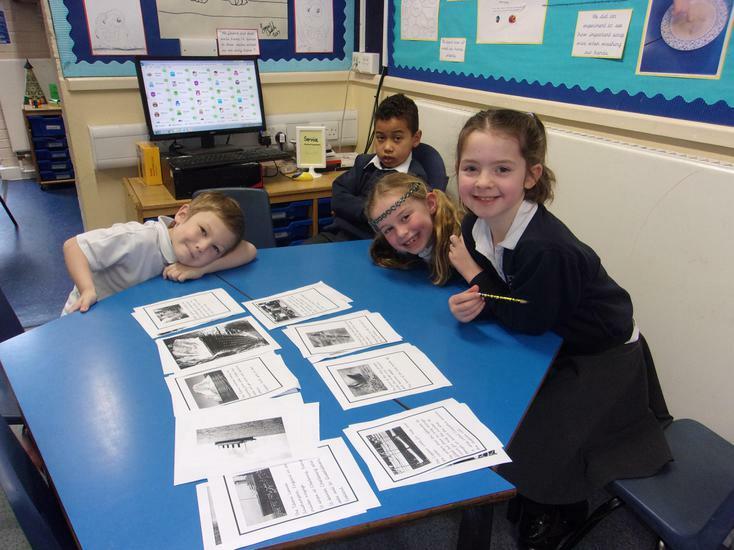 Please take a look at the photos below to see our learning journey. 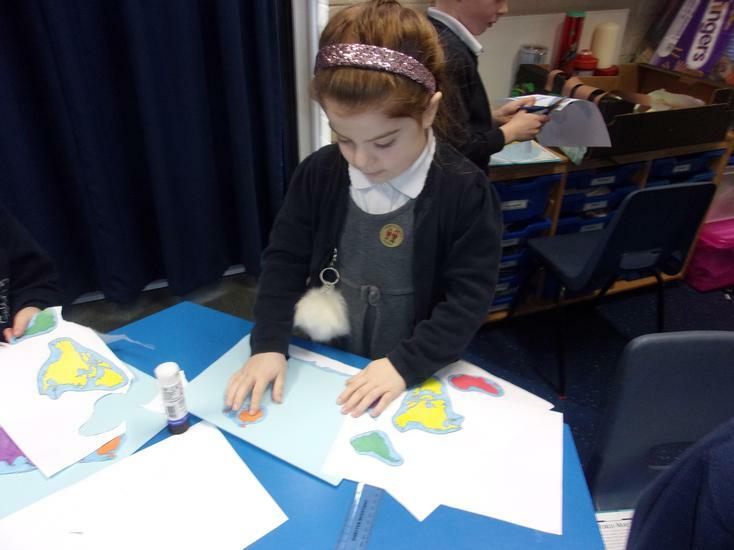 Click on the above attachment and see our Owl drawings and photos from our Let's Learn IC.